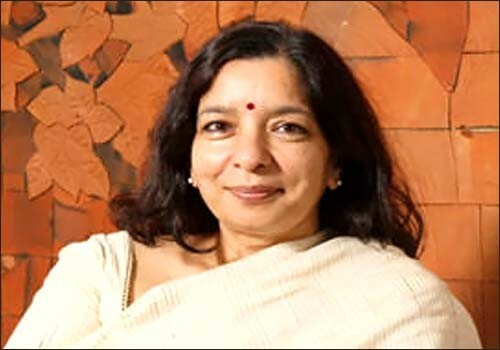 Mumbai– The country’s third largest private sector lender Axis Bank on Thursday said it has re-appointed Shikha Sharma as its Managing Director and Chief Executive Officer for three years till May 31, 2021. “The Board of Directors at its meeting held on Wednesday approved the re-appointment of Sharma as the MD and CEO of the bank for a period of three years, with effect from June 1, 2018,” Axis Bank said in a BSE filing here. The 58-year-old Sharma joined Axis Bank in 2009 as its MD. “As a leader adept at managing change, she has focussed on transforming the bank with strengths across a wide range of corporate and retail banking products,” the bank said. “She has focussed on strengthening its retail lending franchise, enlarged its investment banking and advisory capabilities and developed a comprehensive portfolio of products in the payments space,” it added. With an experience of more than three decades in the financial sector, Sharma had begun her career with ICICI Ltd in 1980. She spent 29 years with the ICICI group. In her last assignment at ICICI, she was the MD and CEO of ICICI Prudential Life Insurance Company.